MIAMI--(BUSINESS WIRE)--Leon Medical Centers, Inc., has named Roymi V. Membiela Vice President and Chief Consumer Officer (CCO). Membiela will join the executive team of the organization, and will be responsible for analyzing, designing and implementing enhancements to the consumer/patient journey and overall branding of services. Membiela will have oversight of marketing communications, patient experience, employee engagement and community affairs. Membiela is a seasoned healthcare marketing and patient experience professional, whose passion for keeping the voice of the consumer at the epicenter of all business development and branding strategies helped transform and grow market presence for two of South Florida’s most eminent healthcare systems. Most recently she served UHealth as Associate Vice President Marketing Communications and Chief Patient Experience Officer, and prior to that as Chief Marketing Officer for Baptist Health South Florida. 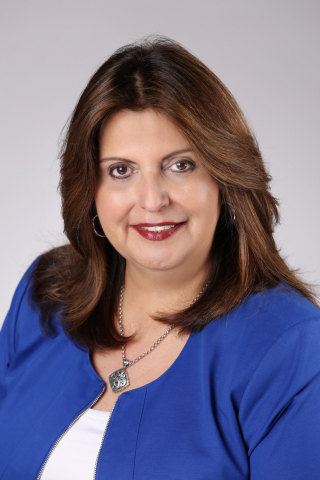 Earlier in her career she served as Director of New Business & Hispanic Market Development for the Miami Herald Publishing Company, leading the newspaper’s expansion in the U.S. Hispanic market and Latin America. “Membiela has the precise vision to elevate the premier position held by Leon Medical Centers among patients and consumers,” commented Albert Maury, President and CEO, Leon Medical Centers. “She sees the patient experience as a full cycle that encompasses the branding perception and experience of patients before, during and after they interact with our organization, and we are very pleased to welcome her to the Leon family,” added Maury. Membiela is a respected civic and business leader in the State of Florida, and she has been recognized frequently for her community contributions. About Leon Medical Centers, Inc.